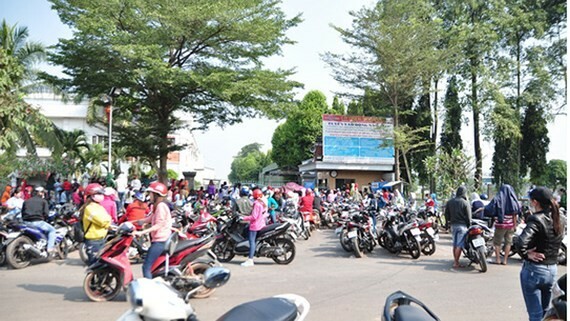 Representatives from the Labor Union and Department of Labor, Invalid and Social Affairs in the southern province of Dong Nai gave nearly 2,000 workers with unpaid wage at KL Texwell Vina Company financial assistance to celebrate the Tet holiday on Sunday. They arrived at the company in Bau Xeo Industrial Park, Trang Bom district, Dong Nai to give workers money. Each of the worker received 50 percent of the unpaid wage in January 2018 and an extra of VND600,000 from Vietnam General Confederation of Labor and Dong Nai Labor Union. 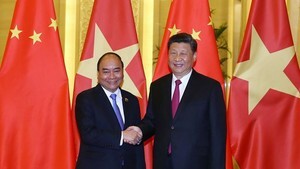 Previously Prime Minister Nguyen Xuan Phuc praised Dong Nai People’s Committee and the confederation for actively applying timely measures to stabilize the situation at the company and assist workers. They are now continuing working closely together to control the situation and take care of the company’s workers during the Tet holiday.